Sidney Graham Murray King was born in St Marylebone, London. His father was D'Oyly Carte baritone James Sydney, his mother was D'Oyly Carte soprano (later contralto) Ethel McAlpine. His godmother was Mrs D'Oyly Carte herself. 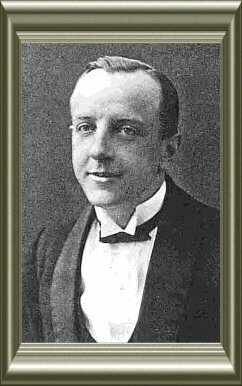 We do not have much detailed information about his work with the D'Oyly Carte organisation, but it appears he spent seven years in D'Oyly Carte touring companies, all in the chorus, beginning in December 1897 with D'Oyly Carte Opera Company "B. "; and he was with D'Oyly Carte Opera Company "D" from September 1901 to May 1902 in The Emerald Isle. His stage name was Sidney McAlpine. In June 1906 he appeared in the crowd in court in Trial by Jury as part of the Ellen Terry Jubilee production at Drury Lane. He also appeared with the Beecham Opera Company (presumably in the chorus) and as an extra in the Drury Lane pantomime Aladdin (December 1909-January 1910). After leaving the professional stage he served as coach and producer for the St. Anne's Operatic Society under his real name of Sidney King for some 30 years. He was Marton Operatic Society's first producer of Gilbert & Sullivan, producing all the shows from Iolanthe in 1932 to The Sorcerer in 1952 (with the exception of two shows in 1947/48). He died in St Annes.